In this blog post, we discuss the basic strategy to integrate CSP into an existing website. It covers the theory and the new features of CSP Auditor. If you are not familiar with the tool or CSP, you can read our previous article. In CSP Auditor, two views can be used to list external resources. The tab “External Resources” displays all resources loaded from the selected domain. The tab “Configuration” is a draft of a CSP configuration that includes all domains used to host external resources. The list is populated automatically based on the website under analysis. To get a good coverage of resources loaded by your website, you need to crawl most of your website pages using either Burp crawler or manual navigation. Usually, developers will import most resources on the home web page even if some of them are not needed for this specific page. It is done for early caching and simplicity. For this reason, you will only need to visit a couple of pages in most cases. The first step should be easy to complete. 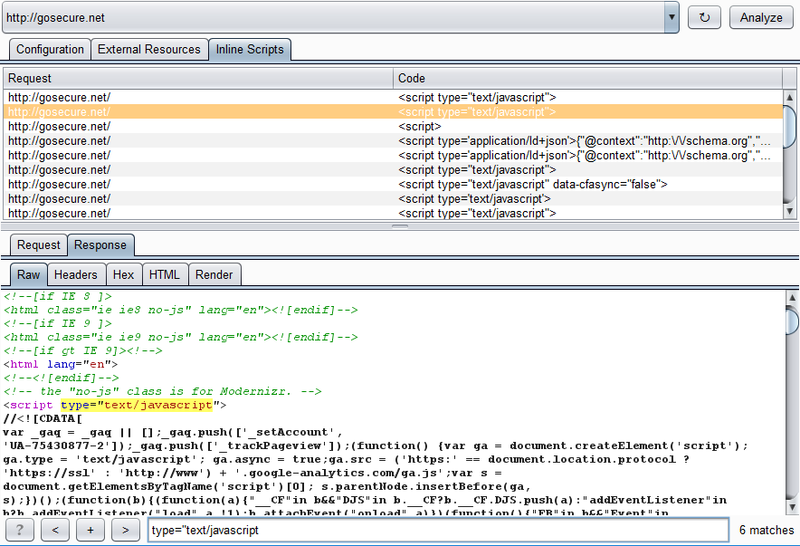 However, inline scripts will be more difficult to manage. In this case, changes in the HTML page will be required. Inline script, like the code above, is not allowed in the CSP default mode. 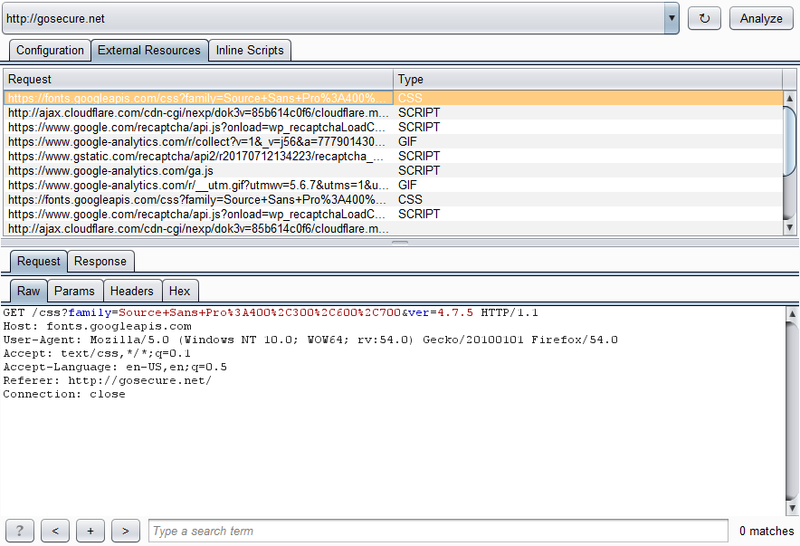 The objective is to prevent the inclusion of malicious script through an XSS vector. There are two strategies to avoid inline script. The first option is to move the code into a script in a separate JS file rather than embed it inside the HTML page. The second option is to add a nonce to the script block. This option requires the generation of a random token placed in the header as well as the attribute nonce for each script. Since inline scripts are used everywhere in applications, their number is the biggest challenge. To first estimate the size of the changes, an "Inline Scripts" view was created to passively list the occurrences found by analyzing the traffic. There is, unfortunately, no universal migration path for legacy sites. Hopefully, these new additions to the CSP Auditor plugin will be helpful for developers to estimate the effort and the feasibility of integrating the new security header. The addition of CSP header might not be as beneficial if Cross-Site Scripting is not regarded as important for the targeted website. Reviewing “External Resources” and “Inline Scripts” will help them estimate the time required to implement it. Lastly, we are currently working on the implementation of CSP for the current blog. The final solution will likely be applicable to all WordPress sites.